Been a fan of GarageBand for a long time and have a number of the expansion packs and such like. Make no mistake: I am not a musician, I can’t read music or play any kind of instrument. That being said, I do feel I have a good ear for music and GarageBand provides me with that creative audio outlet which gives me immense joy and pleasure. 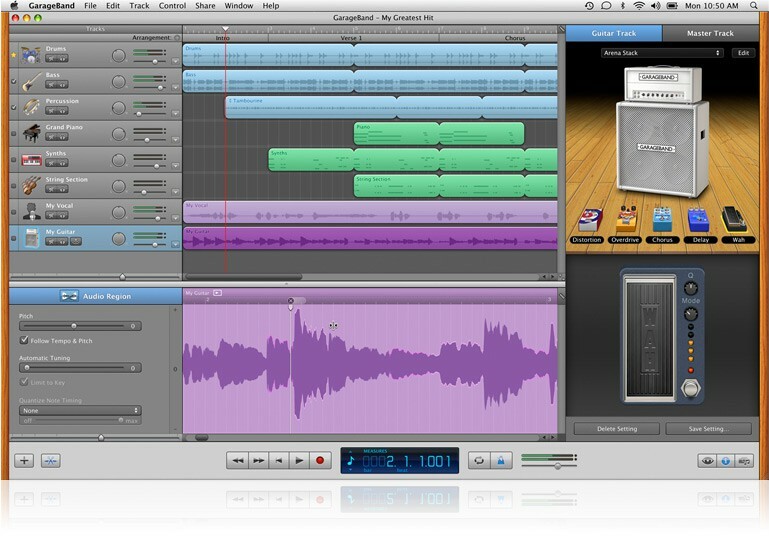 I think it’s so important to explore other creative avenues and what better way than using GarageBand as that platform. Visual creativity is one thing, but audio creativity is a totally different game and one I really wish I could participate in at a higher level. I used to be in the School Choir and loved everything about the singing, harmonies, solos and just performing. It’s relatively easy to time a whole load of loops together which is mostly what I have done, but finding the right instruments with the right pitch and timing can take a while to perfect. The sense of achievement with a GarageBand creation is huge with me as I love being able to listen to the various tunes I have cobbled together and I get a great sense of satisfaction from doing it. Here are a few of my GaragBand pieces. Worth noting that the first two are somewhat slow as I put these together specifically for my Fathers Funeral. The March was played as people poured into the Chapel to take their seats whilst Brassy was played as the coffin was moved behind the curtains for the cremation. To be honest it was all very emotional listening to this music as my Father was a great brass, big band and music lover. Having been a Policeman for 40 years it also seemed appropriate to have some music that had a certain rhythmic march beat. To have put together music for such a emotional moment was a massive responsibility and I sincerely feel that this music was far more appropriate than any random hymn out there. My music made for my Dad: doesn’t get much more personal than that. Brassy – Played at end of my Father’s Funeral. Capital E – Played beginning of my Father’s Funeral. GarageBand Virgin – My first attempt.